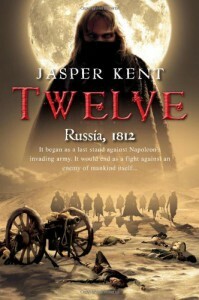 Twelve certainly sounds like an interesting book and it’s the main reason I bought it. Unfortunately, I had a few problems with it. My main complaint is that the book did not feel like a historical novel. Other than political details, there is nothing that made me feel like I was in 19th Century Russia fighting Napoleon. Frankly, the tale could be have been set during Caesar’s conquest of Gaul or the Boxer Rebellion in China for all the importance of the setting. 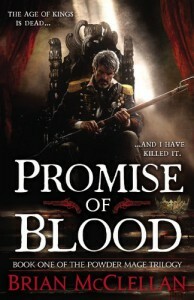 Truly, the book is not about the Napoleonic Wars at all but rather about the main character's battle against the vampires and I think the story suffers for it. To put it another way: if the setting is secondary, why have a vampire story in this time period at all? Twelve has a very interesting premise. Unfortunately, I felt the author didn’t quite pull it off. Perhaps I was expecting too much from a book with a historical setting, or maybe I was not in the right frame of mind when I read it. 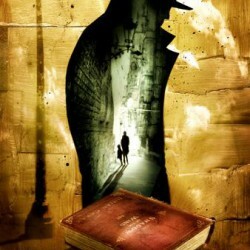 In any case, the book might still appeal to other readers of vampire or horror fiction. 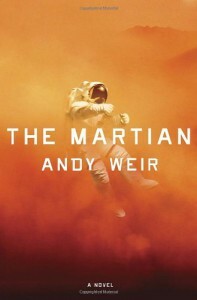 This is a survival story, albeit one set on Mars when astronaut Mark Watney is accidentally abandoned by his crew after a dust storm. It's a lot like a feel-good disaster movie with a lot of life-threatening setbacks, plucky can-do spirit and ingenuity, and drama as the main character struggles to survive in the harsh Martian landscape and the whole world tries to rescue him. It could have been extremely cheesy, but it works and I found it very engrossing. 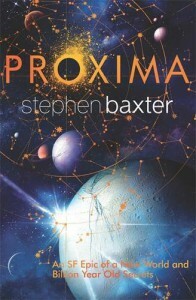 It helps that the book is about space exploration, a subject very close to my heart. I also have to give the author a lot of credit for the science. He really put a lot of thought into how someone might survive on Mars. I'm giving this three stars because it was just as well written as the first three books and fans will probably enjoy it. For my part, I read this mainly to find out if it explained the somewhat confusing cliffhanger of the third book, Expedition to the Mountains of the Moon. And it does for the most part. However, while I suspect the author is intending this book to be part of a larger story arc, it feels too much like a re-boot for me to want to start over. I won't be continuing the series. It wasn't quite perfect and I think it could have cut 30-40 pages and not lost much, but it was haunting and beautifully written. It's like McCarthy's The Road in that despite being very good, I doubt I'd ever read it again because it's simply too depressing. 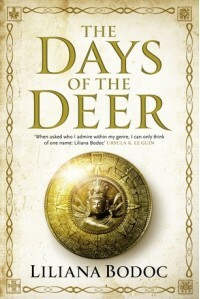 Although it's hardly the first time "flintlock fantasy", aka fantasy with gunpowder has been done - Paul Kearney's The Monarchies of God in the late '90s for example - Promise of Blood seems to the be one of the first a new wave of books within this sub-genre. 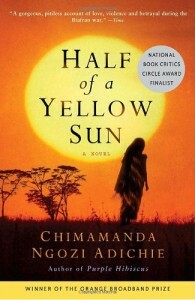 One of the things that intrigued me the most was that the book started in the aftermath of a coup. Normally, this device with be in the middle or end of the plot so this quite refreshing. There's plenty of plots and counter-plots along with a couple of interesting mysteries that hint at what's really going on. 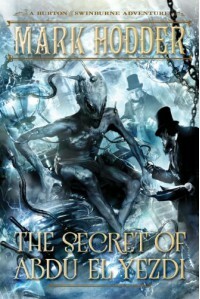 The mysteries go hand-in-hand with the world-building, which is revealed slowly, never overwhelming the reader. The part where this book fails is that by the end, the plot falls back on the standard big battles with lots of magic of many fantasy novels. By the end I was flipping the pages to find out what happened to stage for the next book. I'm giving this book four stars for a strong first two-thirds, though it's probably closer to three and a half. It's basically a story of good versus evil, with foreign invaders coming to land to kill and enslave and bring physical and moral corruption with them, but I think that's a little too simplistic. It's written like an older, mythological tale of changes brought to a land by ancient evil. Some of the parallels will be obvious as it's loosely based on New World cultures and history, sometimes a little too closely, but for the most part it works. Combined with the writing style, the book actually reminds me a lot of The Silmarillion. I enjoyed it quite a bit. Babayaga, by the author of [b:Sharp Teeth|1724365|Sharp Teeth|Toby Barlow|http://d202m5krfqbpi5.cloudfront.net/books/1347278888s/1724365.jpg|1721769], is about witches, spies, cops, and one very hapless, clueless analyst in 1959 Paris. One of the strengths of Sharp Teeth was the free verse that made for a very unique, interesting read. 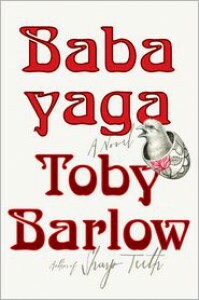 Babayaga is more straightforward, but much more wacky with oddball characters popping up all over in this madcap literary adventure. It's eminently readable, but for some reason it failed to completely grab me. I have to give it a lot of props for what the author was doing with it though. It's about the son of a pepper merchant who finally achieves his dream of visiting the far-away land of Olondria where books are commonplace. However, he ends up haunted by a ghost and consequently becomes a pawn between two religious factions. 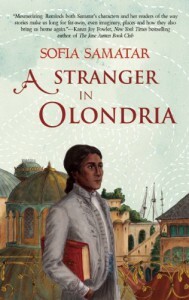 The story isn't really anything new, but Samatar has created a very beautiful and imaginative world as well as a prose style that is lyrical and evocative making for a very pleasurable read. Plus, there is a undercurrent of a love of books running through the whole thing. I'm now wishing I hadn't started the Culture books with Consider Phlebas. 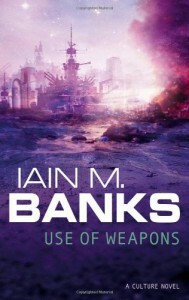 Weapons is a much stronger novel in terms of plot, themes, and characterization. Per the huge plot twist everyone talks about: I sort of figured it out so I wasn't terribly surprised and to be honest I didn't entirely buy it. Or maybe I just didn't want to buy it. Anyway, I'll definitely be thinking of reading more Culture books after this. I first heard about this one from Christopher Priest on his blog. That probably should have been sufficient warning (I mean that in a nice way). 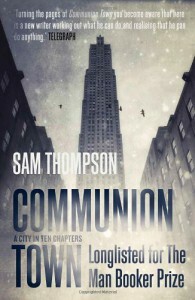 This book is billed as a story of "a city in ten chapters", by which it's a set of interconnected short stories set in a fictional city. It's well written, but very confusing. Each story is different with different characters, etc. Not a problem except you don't really get a sense of the city at all. The only really common element is a mysterious entity known as the Flaneur, which differs in every tale from a bogeyman to the soul of the city. Re-readings are not only recommended, but probably required. 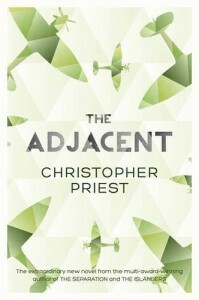 It didn't grab me quite as much as say The Prestige or The Affirmation, but I have to agree with others that it's quite brilliant. 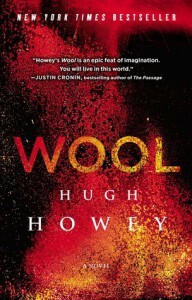 It ties together some of the themes and worlds of his other work into a very satisfying novel. I also found it a little more coherent than some of the author's other works so there's more of a payoff that doesn't require multiple re-reads. Not to say that a re-read is not a enjoyable endeavor with Priest. Those new to Priest may not get as much out of The Adjacent, but fans should enjoy it quite a lot. Will definitely be one of my top reads for this year. This one is a bit different from the author's previous two books. It's more a psychological thriller regarding a serial killer and one of his intended victims who turns the tables and hunts him. Despite the time travel element in which the killer jumps all through time, the book is very much a thriller rather than science fiction. 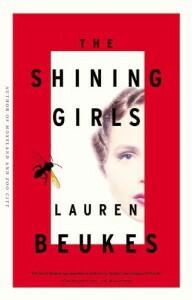 I have admire the fact that Beukes managed to do something different than she had before, as well as the amount of research done to make each time period feel real. That being said, I didn't really enjoy this much. I think I just wasn't in the right frame of mind emotionally to read it at this time. If I ever re-read, perhaps I can give it a stronger rating. It was good to be back in the Old Man's War universe again and see what happened after The Last Colony ended. 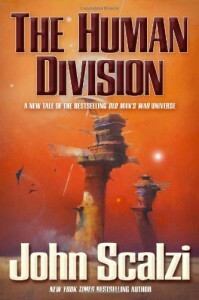 Nothing especially new, but good writing similar to Scalzi's earlier work. However, the serial nature of the short stories felt a little disingenuous. All the stories are supposed to be stand-alone, yet there's a overarching plot element regarding a possible conspiracy, which means many of the stories don't really stand on their own. Maybe because I read them altogether, hard to say. The plot element did feel repetitive though. Plus, nothing really happens with it until the end and even then nothing is resolved. Feels like setup for a possible future book. I really don't see what all the fuss is about with this book. Sure, it's interesting enough at first, but only until you take a closer look. 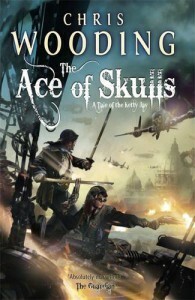 The characterization is uneven, the writing is clunky not too mention barely adequate, and the world-building is all done on the fly with no more thought given other than authorial whim. The whole book is a house of cards that will collapse if you just glance at it wrong. In particular, the psychology and mentality behind the cleanings, behind the whole silo and backstory is just incomprehensible. Frankly, I could make more sense out a surrealist painting while high on LSD. I recognize that quite a few people like this work which is why I'm giving it two stars. But to be honest, to me this book is another example of why self-publication has a bad reputation.